To bring rainy communities to life and create a more livable, sustainable, and shareable world. We offer the service in major markets across the U.S. But only so many brands will be able to own their building, their area or their city center. We work with brands or facilities, and welcome the opportunity to prove our value. 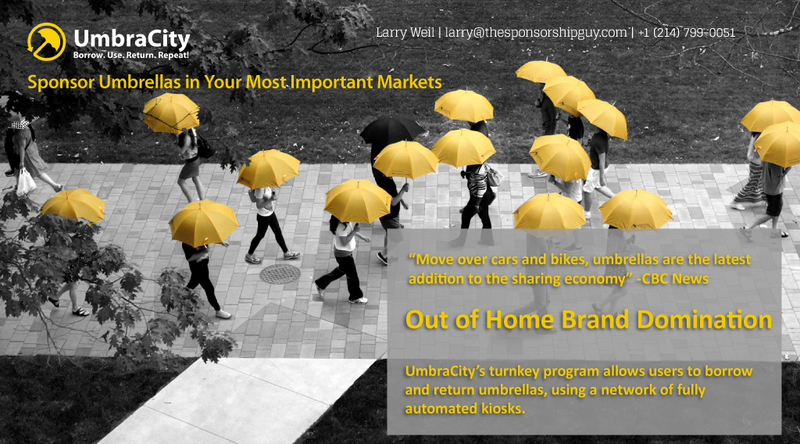 Visit UmbraCity.com for more information. To become a sponsor or for sponsorship information, contact Larry Weil.